Graffiti has been a tool of the Palestinian liberation struggle for decades; during the first intifada in the late 1980s and early ’90s, Palestinians painted graffiti on all the walls as a means of protesting the occupation. Graffiti artists were met with brutal suppression if caught. Young Palestinians are carrying on the legacy of art as a form of resistance today. On 12 January, an unknown group penetrated the heavily-fortified heart of West Jerusalem overnight and painted graffiti bearing political messages on walls, doors, construction sites and other surfaces. Most of the paintings pictured a woman’s face masked with a kuffiyeh, the traditional Palestinian checkered scarf. Below some of the images was the word “revolt” in Arabic. The group hit the walls of Jerusalem again five days later, and issued an anonymous statement vowing to carry on their action to send messages to the Israeli and Palestinian communities. In the following weeks, other groups took up the spray can torch in various cities including Haifa and Jaffa. And in June, the Jerusalem activists took a daring step by painting graffiti on the doors and walls of governmental buildings as well as the doorways of Israeli houses in Jerusalem and Palestinian houses occupied since the ethnic cleansing of 1948. They sent the same messages calling upon Palestinians in general, and Palestinian women in particular, to revolt. They also painted “Remember Gaza” across the wall of one of the buildings in big letters. A member of the group, a confident young Palestinian feminist activist who operates under the pseudonym “Laila,” spoke to The Electronic Intifada on condition of anonymity. Laila has been active in street art in Palestine before the creation of the anonymous Jerusalem group, focusing on painting both the walls of West and East Jerusalem. Of wonderful times to come. 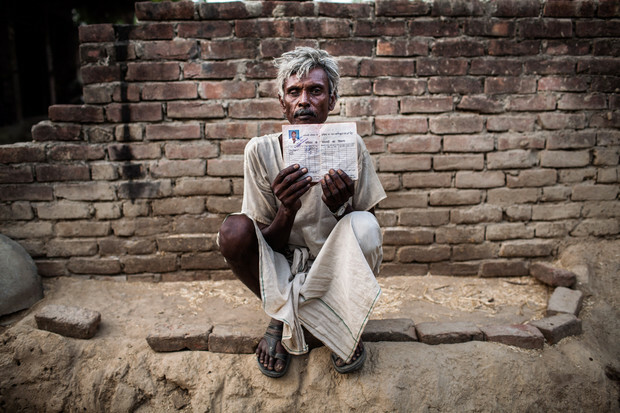 Ram Kishen, 52, half-blind and half- starved, holds in his gnarled hands the reason for his hunger: a tattered card entitling him to subsidized rations that now serves as a symbol of India’s biggest food heist. Kishen has had nothing from the village shop for 15 months. Yet 20 minutes’ drive from Satnapur, past bone-dry fields and tiny hamlets where children with distended bellies play, a government storage facility five football fields long bulges with wheat and rice. By law, those 57,000 tons of food are meant for Kishen and the 105 other households in Satnapur with ration books. They’re meant for some of the 350 million families living below India’s poverty line of 50 cents a day. Instead, as much as $14.5 billion in food was looted by corrupt politicians and their criminal syndicates over the past decade in Kishen’s home state of Uttar Pradesh alone, according to data compiled by Bloomberg. The theft blunted the country’s only weapon against widespread starvation — a five-decade-old public distribution system that has failed to deliver record harvests to the plates of India’s hungriest. State prosecutors have charged 270 strikers arrested at Marikana platinum mine with the murder of 34 colleagues. The arrests went ahead despite confirmation that the victims were shot dead by police, in the latest setback to prospects of peace in the South African mining industry. 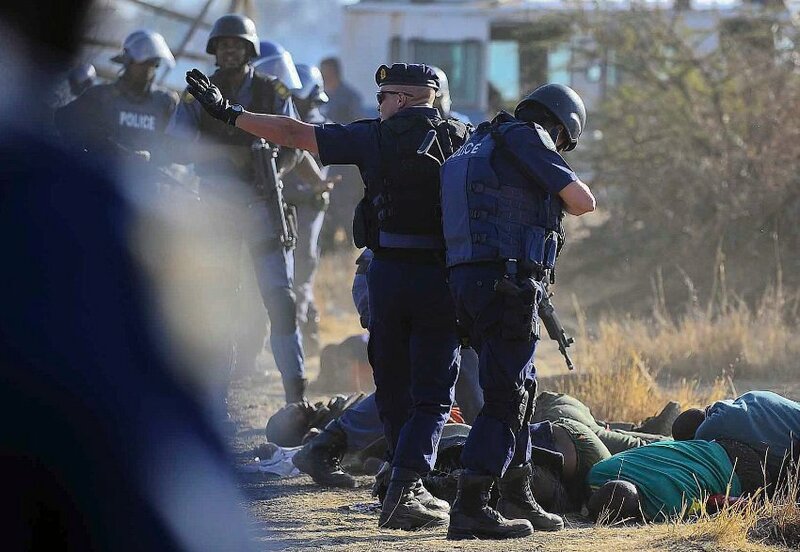 The strike at Marikana that called for 3,000 rock drillers to have their monthly pay increased to 12,500 rand (£940) has led to a total of 44 deaths, including those of two policemen and two security guards. In shocking scenes on 16 August, police opened fire on a group of miners, killing 34 and injuring 78. On Thursday, August 16, police officers fired into the crowd with automatic weapons. When it was over, 34 miners lay dead. Here, police check the bodies of dead mineworkers. The massacre of the Marikana/Lonmin workers has inserted itself within South Africa’s national consciousness, not so much through the analysis, commentary and reporting in its wake. Instead, it has been the power of the visual images of police armed with awesome fire power gunning down these workers, together with images of bodies lying defeated and lifeless, that has aroused a national outcry and wave of condemnation. These images have also engendered international protest actions outside South African embassies. In themselves these images communicate a politics about ‘official state power’. It is bereft of moral concern, de-humanised, brutal and at odds with international human rights standards; in these ways it is no different from apartheid era state sponsored violence and technologies of oppressive rule. 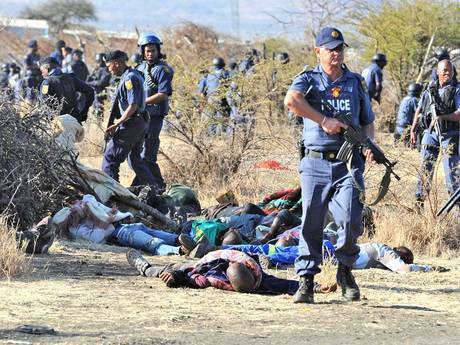 Moreover, the images of police officers walking through the Marikana/Lonmin killing field, with a sense of professional accomplishment in its aftermath, starkly portrays a scary reality: the triumph of South Africa’s state in its brutal conquest of its enemies, its citizens. Indiensolidaritet: Can you say something about the political work you do in India? Saibaba: I work for an organization called Revolutionary Democratic Front (RDF). It is a federation of revolutionary mass organizations working among different oppressed classes and sections of Indian society. Revolutionary students and youth organisations, revolutionary peasants’ organisations, revolutionary workers’ organisations, revolutionary cultural organisations as well revolutionary womens’ organisations from different regions across India are constituents of RDF. Thus RDF is a large network of revolutionary organisations reaching out to all sections and strata of the society. From the year 2009 onwards Operation Green Hunt began, the Indian state’s genocidal war on the poorest of the poor in India. All of us in our organization RDF work with other parties, groups, democratic organisations and individuals to raise our voice collectively and unitedly against the present military onslaught on the people and the extermination campaign against the people of India. We see this massive military operation as a continuation and the latest addition in the war waged by India’s ruling classes against the people of the subcontinent for last many decades be it in Kashmir, North East, Punjab, and now in central and eastern India. So we are at one level involved in the basic struggles of the people and at another we are working along with a large network of political forces and carrying out a countrywide campaign against Indian state’s anti-people policies, particularly Operation Green Hunt. Indiensolidaritet: The way we see it, there are two lines regarding solidarity work in Europe. One line is trying to unite people on an anti-imperialist and anti-feudal basis and another one focuses more on Maoism. What do you think about this? 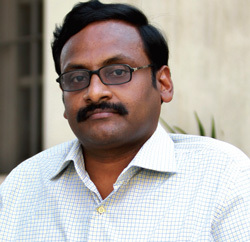 Saibaba: Yes, there is this perception and understanding of how to develop the solidarity movement for the peoples‚ struggles and the particularly the military attack on the people that is going on in India. So what I can see is that there are large sections who think that the large sections of the people of India and the larger confrontation is more important to focus on, to tell the world outside India. There is another section of organizations which hold that the present campaign by the Indian state is targeting the revolutionaries in India and therefore the revolutionaries should be supported directly. What is important today is that the people of India, the poorest of the poor 80 percent of the country who live an extremely perilous existence, are looking forward to a basic change in their lives. The poorest section of humanity in the world therefore is waging a defiant struggle in India under the leadership of the revolutionary Maoists who are from among their own. So if you take the larger picture of what is happening in India, you can see that this is a great resistance against the loot of the land and minerals by the corporate sector. Monopoly capital in its desperation to dominate the world’s resources would like to overcome its crisis by exploiting the cheap raw materials in India and other oppressed countries. It’s an attempt by the imperialists, by monopoly capital on the world scale, to transport their burden of the economic crisis upon the shoulders of the poorest of the poor in India. 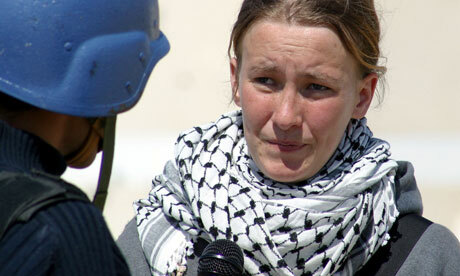 The death of the pro-Palestinian activist Rachel Corrie was not caused by the negligence of the Israeli state or army, a judge has ruled, dismissing a civil lawsuit brought by the family. Corrie’s death was an accident for which the state of Israel was not responsible, said the judge at Haifa district court. There had been no fault in the internal Israeli military investigation clearing the driver of the bulldozer that crushed Corrie to death in March 2003 of any blame. The judge said the driver had not seen the young American activist. Corrie could have saved herself by moving out of the zone of danger as any reasonable person would have done, said Judge Oded Gershon. He ruled that no compensation would be paid and the family would not have to pay costs of the case.